Start by taking thorough measurements of where your shower will go. 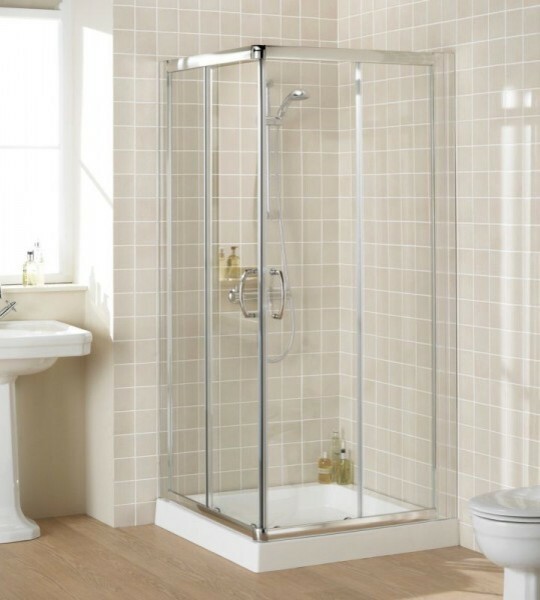 Measure the area for the shower base, the length and height of the back wall, and the length and height of each side wall. Then, choose a shower with a base (or shower pane) and panels that will fit snugly in your opening. 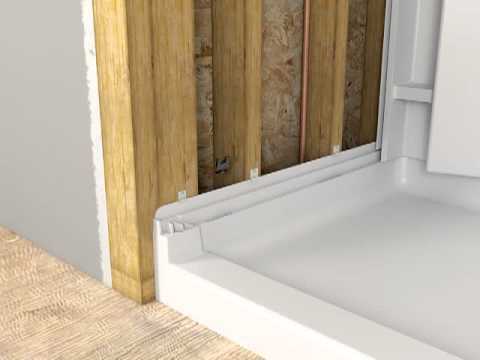 Start by making sure your shower base fits properly over the drain hole. If it does, attach the drain flange and gasket and cement the flange to the drain pipe. Fit the base over the drain hole and use a bead of silicone sealant and the screws provided to attach the flange to the drain body. After you’ve installed your shower base, it’s time to install the walls (or panels) of your shower. Your shower panels should interlock with each other on the sides and interlock with the base to form water-tight seals. Connect them all together and make sure they sit level and flush. Once you’re satisfied with your panel placement, pre-drill several holes in the flattened edges of your panels. Then, attach them directly to your wall studs using roofing nails. Before you attach your final side panel, use a hole saw to drill a hole for your fixtures. Attach your shower head unit and your handle unit and make sure they don’t leak when you turn on your water.